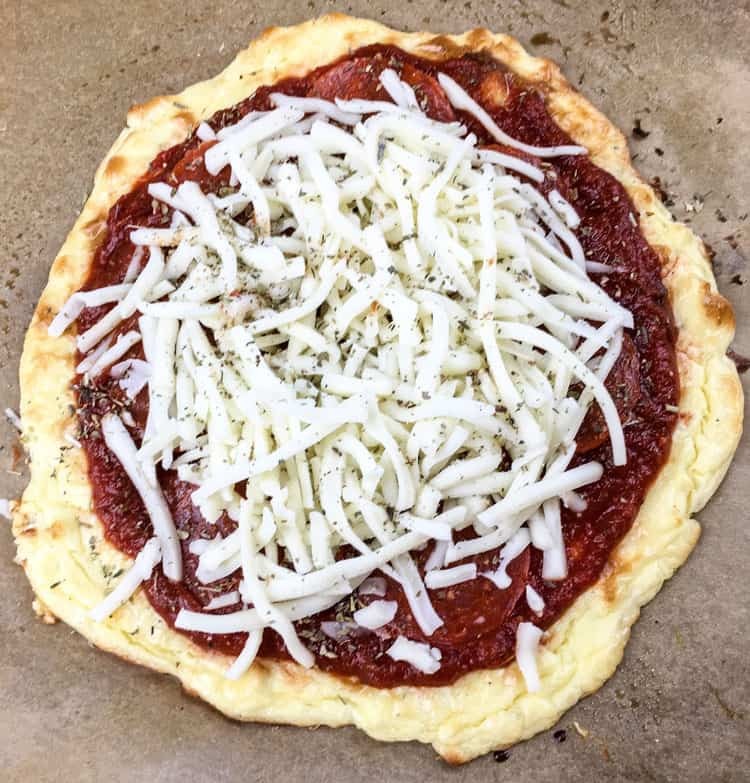 This Easy Weeknight Keto Pizza with Pepperoni will be your new favorite keto diet dinner! If you’re on the keto diet (“high fat, low carb”), you’ve probably figured that pizza is a thing of your past. A single doughy piece of crust has enough grams of carbs to kick you out of ketosis for days! What if I told you that you could actually eat pizza (every night if you want!) — crust, sauce, and all? And good pizza, too… not some pizza abomination that barely tastes like pizza at all. This Easy Weeknight Keto Pizza is really, really good. So good, in fact, that non-keto dieters will be more than happy to eat it. 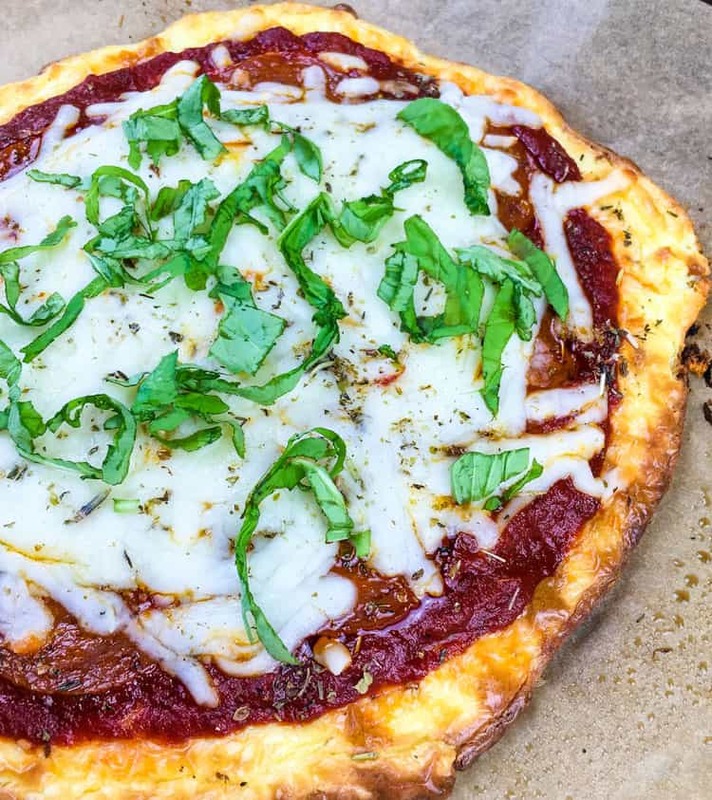 Once you’ve prepared and baked your keto pizza crust, you’ll top it with a sauce made out of tomato paste, sugar-free tomato sauce, and flavorful herbs. By using natural, sugar-free tomato paste and sauce, you avoid the high carb count of sauces loaded with sugar. After that, you sprinkle on Mozzarella cheese and pepperoni slices and bake it until the cheese is melted and bubbly. In only 40 minutes from start to finish, you have the perfect keto pizza! If you’re trying to stay in ketosis, you’re likely keeping track of your net carb count (grams of carbs minus grams of fiber). 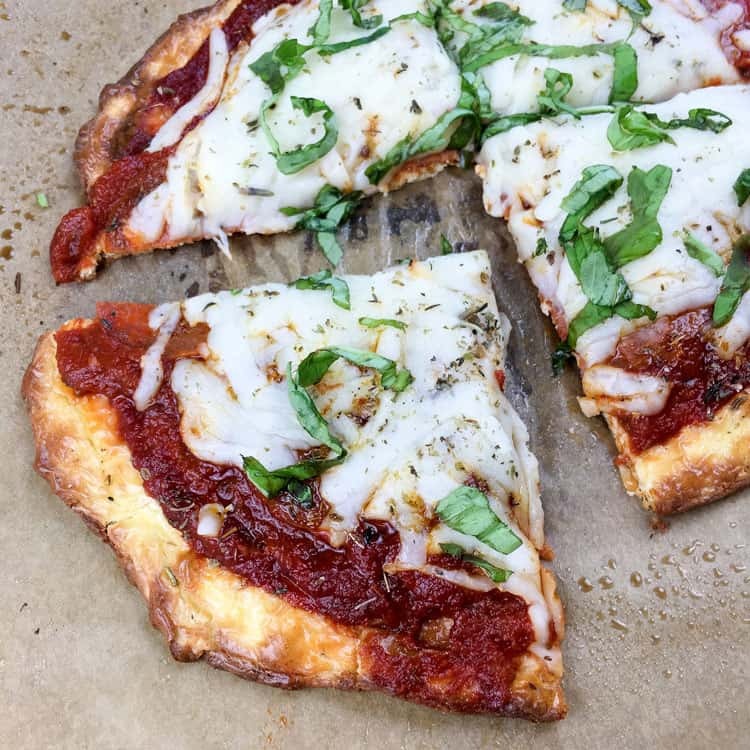 This keto pepperoni pizza recipe has 6.2 grams of carbs and 0.7 grams of dietary fiber, giving you a net carb count of 5.5 grams per serving. Most people on the keto diet aim for 20-25 grams of net carbs per day, so a serving of this pizza will easily fit into your diet. Just be careful not to add anything too high in carbs when you add toppings (see the “How to Personalize Your Keto Pizza” section). Also, feel free to experiment with the herbs and spices in the recipe to give the pizza your own distinct flavor. 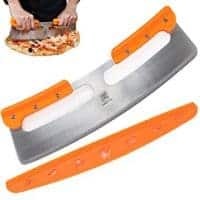 I hope you enjoy your delicious keto pizza! Yes, you can enjoy pizza guilt-free on the keto diet! 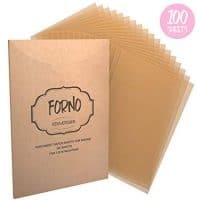 Preheat oven to 375° F. Using parchment paper, line a large rimmed baking sheet. Set aside. In a medium-sized bowl, combine cream cheese, Parmesan cheese, eggs, 1 tsp each of oregano and basil, and ½ tsp garlic powder. Season with salt and pepper to taste. Whisk the mixture until it is blended and smooth. While crust is baking, whisk tomato sauce, tomato paste, remaining herbs, and garlic powder in a small bowl. Season lightly with salt and pepper to taste. Stir and set aside. 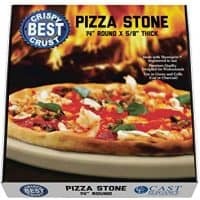 When the pizza crust is done, remove it from the oven and let it cool for 5-10 minutes. When cool, top with tomato sauce, pepperoni, and cheese. Return the pizza to the oven. Bake for another 10 minutes, or until the cheese is bubbly and melted. Remove from oven. If desired, garnish with fresh basil. Serve immediately. Please say How Much Cream Cheese, how many Eggs?? ?Sorry but I have no idea! The recipe has been updated. Sorry, there was a glitch that took the ingredients out. Thanks for bringing it to my attention!